Ford Motor Company today launched the all new Ford Figo in India. 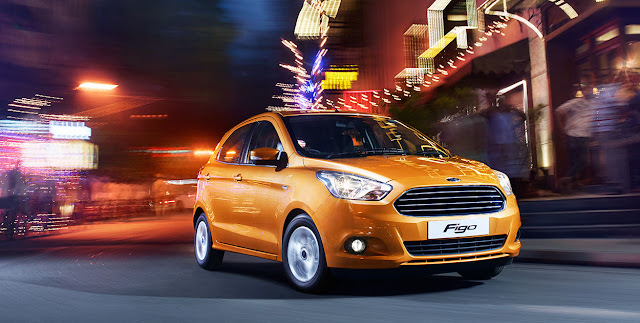 The new Ford Figo price starts from Rs. 4.29 lakh for base petrol variant and Rs. 5.29 lakh for the base diesel. The new Figo comes in 2 petrol and 1 diesel engine options. The 1.2L petrol has power of 88 Ps @ 6300 rpm and 1.5L petrol pumps out massive 112 Ps @ 6300 rpm which too much for a small car. The diesel 1.5 TDCi has power output of 100 Ps @ 3750 rpm which again is powerful engine in the small car segment. Ford Figo has an automatic variant only in the form of 1.5L petrol. The other variants get 6 speed manual transmission. Front airbags are standard and the new Figo is the only car in its segment to offer 6 airbags as an option.